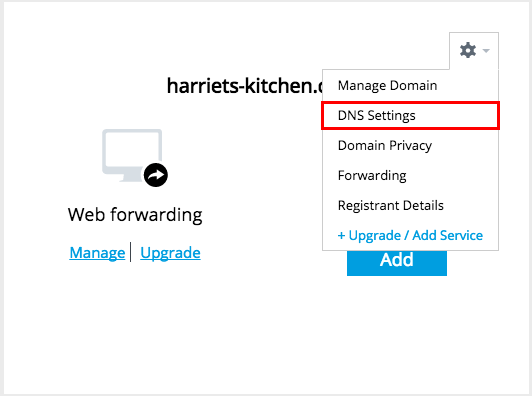 If your domain is registered with Register365, you can change the nameservers that your domain is delegated to through the Online Control Panel. In the centre of your screen you will have 3 boxes in which you can enter the new nameservers. Only the primary and secondary nameserver fields are compulsory, with the tertiary field being optional. Once you have added the new nameservers, select Update. The nameservers will update within 24 hours of your request. 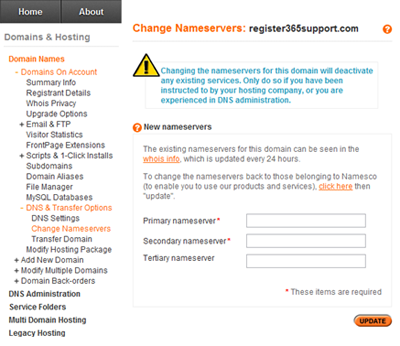 To check this, you can select whois info on the change nameserver screen. Note: If the nameservers are changed away from ours then, assuming they are not subsequently changed back, we will automatically remove any DNS records from our own (now unused) nameservers after 72 hours.